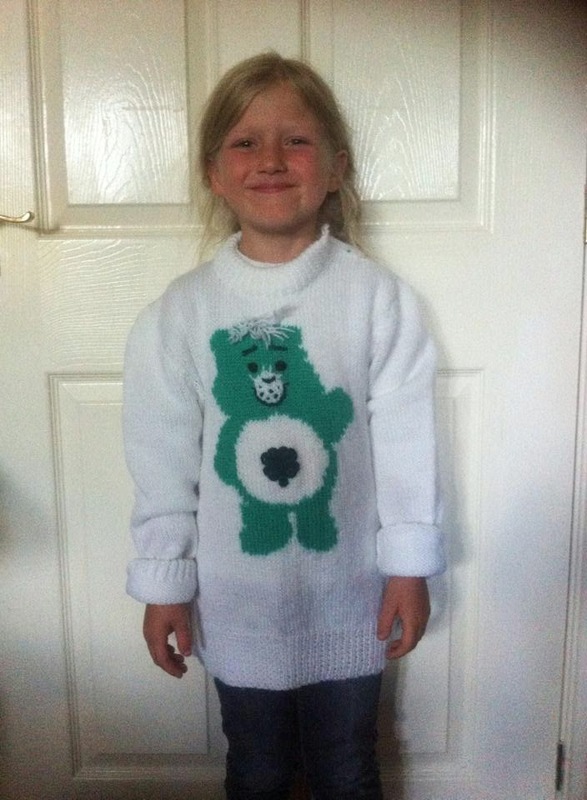 My Grandma was a very keen knitter and would knit us a jumper of our choice for every birthday, special event or simply because we wanted a new one. I recall having matching jumpers with my brother and also with my cousins from time to time as well. She may as well have had her own sheep lurking somewhere as she must have got through thousands of balls of wool. I used to love how she could watch Countdown on the TV and knit away so fast that I couldn't keep up. It amazed me. She taught us all how to knit too ~ including the boys in the family! Wonder if they can still remember? Getting a brand new, hand-knitted with love, school jumper was often a huge highlight in my primary school years. I loved choosing what kind of buttons I wanted and what shade of red I was going to have ~ oh yes, simple things make me happy. She may no longer be with us but her memory and huge button collection still lives on. When the random jumpers and cardigans got too small for us, I insisted that my favourites were neatly stored away for the future. (I'm trying not to become such a hoarder these days!) There was something about my Grandma's knitting which meant that I just couldn't part with most of them. Now that Alyssa is getting older, she is able to fit into some of these creations. Obviously everything won't be to her taste but this Care Bear one certainly put a smile on her face. It looks as bright white as it was the day she gave it to me. avoiding the washing up and sharing Grandma's knitwear with some of her Great Grandchildren.